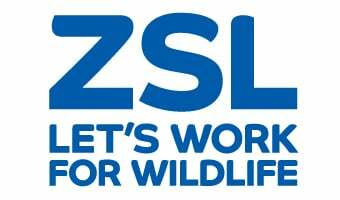 Joanna Barker, Marine and Freshwater Project Manager at ZSL said: “We have an exciting opportunity to understand and improve the status of Angelsharks in Wales, which is potentially one of the last strongholds for this amazing shark. Our approach of combining conservation and social science is a method that we hope will provide benefits to both the population of Angelsharks, but also to local communities we’re working with that rely on the ocean for their livelihood”. Ben Wray, Marine Ecologist at NRW, said: “We are hugely grateful to the 12 fishers we worked with during our pilot project last year who helped to shape this exciting and innovative new project. Accidental captures of the shark show that Cardigan Bay in mid Wales could be an important area for the species. This data will be vital in building a clearer picture of the status and ecology of Angelsharks in Wales as well as informing the Wales Angelshark Action Plan, which we hope will help guide the project towards success”. Lesley Griffiths, Cabinet Secretary for Energy, Planning and Rural Affairs said “Wales is a proud nation and this year we are celebrating our Year of the Sea. Our seas support awe-inspiring habitats and species of national and global importance. Personal sightings and accidental captures of Angelsharks can be reported here. Those who are interested in being part of the project can get in touch at angelsharks@zsl.org to help save one of the rarest sharks in the world. This project is supported by Welsh Government and the National Lottery through the Heritage Lottery Fund.